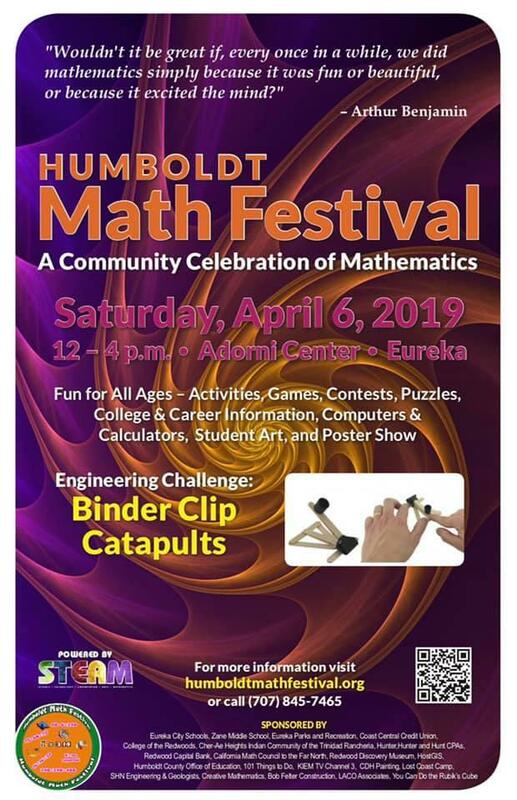 Humboldt Math Festival - this Saturday, April 6! Sunny Brae Middle School Open House & Spaghetti Dinner: April 4 - All Welcome! SBMS Wins Regional MATHCOUNTS Again!